The_TaTs wrote: 7) Sometimes we might. The biggest problem is that coming up for ideas without being deeply involved with our development process creates an inevitable distance between what's feasible and what isn't. Then there's also the fact that most ideas don't take into consideration the cost... remember, we pay salaries... so every visual feature, every line of code, every balance tweak... it costs money. At the end of the month, we have to pay up, no matter what. So when we give the green light for something, and allocate tasks to our team mates, it's going to have a very tangible economical cost. 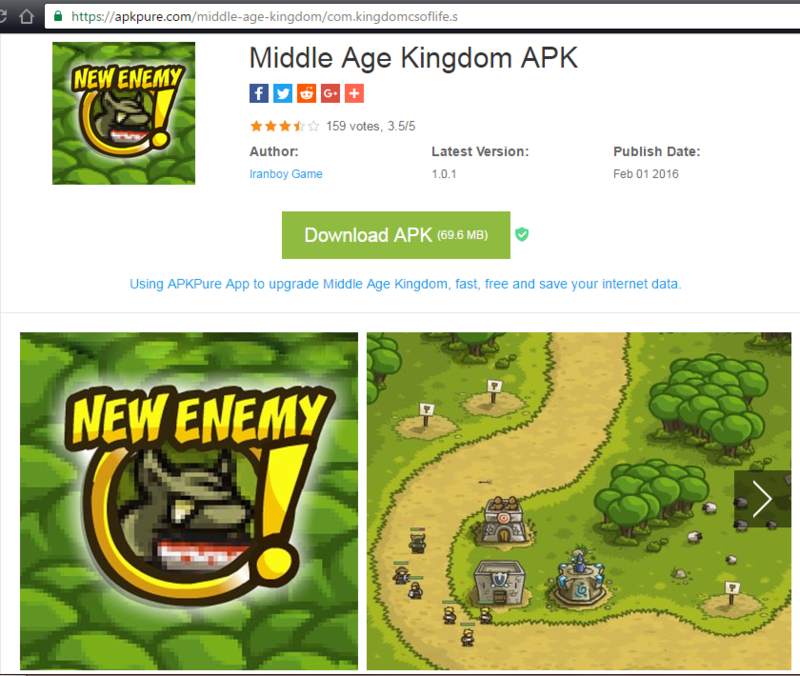 How about suing this guy who claims to be the developer of "Middle Age Kingdom" and getting enough money to accept any good idea that the community comes up with? Now more seriously, you guys could get a fortune that would allow you to get to that 80 people studio from the 20 people studio, just from presecuting such cases (we see too many of them).. or is it actually that simple? Haha... we would spend more money on international lawyers than we would ever hope to recover. Every month I do a copyright slam round, sending complaints to Apple and Google Play using the appropriate copyright infringement process. It's boring, and half the complaints end up being ignored. (sigh). GeminiSparkSP wrote: I saw the Halloween update tweet. Lucrezia is finally on Steam... for better or worse. AerisDraco wrote: Since the Tesla X104 exists, who was Tesla? This is exactly the kind of stuff that is idea for the Fan Fiction section! Who is Tesla in the KR universe? Just saying, I sometimes prefer to fill in the blanks myself rather. FeedDaKingdom wrote: What's the fluffiest thing on the studio? 1- The fluffiest thing on the studio is Bolin's beard. (Juan Andres Nin). Where do you get muffins and mushroom pies on the desert ?? FeedDaKingdom wrote: Where do you get muffins and mushroom pies on the desert ?? You ask for them nicely and they appear. Alric: Hey guys, could ya send me some Muffins? I'm getting hungry, and well I can't fight with an empty stomach. Fill me please! TaTs: This is TaTs. We have already telephoned delivery service. We will send them after the player will turn off his Device. Out. Alric: Thank you, Thank you! I should recommend the player about buying Bonehart - that's the price for the muffins you will send me. Does it irratates you too see people answering questions you should be answering? 1) When is the Iron Marines beta coming? 2) Will Iron Marines beta be tested through Phones? 3) Out of all the KR games, which do you refer to as the hardest to complete? 4) Will we get Steam Origins? 5) When will we have hero-related achievements? 6) How do you decide whether an idea, a unit for example, is worthy of getting into the game? 7) Does beating the whole game in hard mode mean something to you? Question of all times, since the first KR: When/Will you include the Level Editor for all KR games, and Upcoming ones? I mean including it on the every map is on the game, and completed both campaign and challenges it is unlocked? Always wanted to fight 2 Juggernauts on the Rotwick level. Do you actually know the entire team, or just the few people, while you're sitting there and seeing them and thinking: Who is that? Why they're here? Do you want to make another Hero by Community posts for upcoming games? Should you ever invited to a party? Dus it annois u wen ai tawk leik dis? Alleria Swiftwind was only assumed to be an elf in the original Rush because she had pointed ears. Was this always meant to be the case, as it was never canonically said in the games or release package? Are the archers in the Ranger Hideout humans or elves? Does King Denas have any Family? Does he have a daughter like in the comics? If so, where is or what happened to her mother? I have a few questions regarding beta testing for iron marines and other upcoming games. How do you get accepted to be a beta tester? Where would you post info on certain bugs or glitches that you find in the game? Is Ironhide going to address the cliffhanger given at the end of KRF in KR4 or in the future? does Captain Taguins have command of a starship? Where does Eridan carry all of his arrows? Do humans in Iron Marines prefer to teleport Artillery shells or still fire them regularly? How does Kara get infinite rocket/cannon ammo in her tiny suit (compared to the size of the guns)you gotta store all that ammo somewhere right? Why does Eridan's gloves look so snuggly ? Where can i get it? Will any of the human heroes in Iron Marines have glowy eyes? Last edited by FeedDaKingdom on Sat Nov 12, 2016 11:41 am, edited 6 times in total. This belongs in fan fiction( at least I think so lol). magicmetal03 wrote: Does it irratates you too see people answering questions you should be answering? It depends. If someone wants to crack a joke then that's ok.
A) The answer might be wrong. C) The thread gets cluttered with pointless banter and debates over wether or not a reply is correct. The whole idea of this thread is for people to get a direct answer from Ironhide. Usually, I can answer questions by myself, but it's not uncommon for me to go around getting the facts straight before coming back to this thread and answer questions... if anyone can post their answers, then you are missing out on a real answer from us. TheLightBringer wrote: 1) When is the Iron Marines beta coming? 3) Frontiers was the hardest for me. 4) The chances are good, but we haven't green-lighted it yet. I promise to let you guys know as soon as I know something definitive on this. 5) Honestly? No idea. I'll check with the teams. 6) We usually have a general idea of the types of units we might add to the game before we start coding and animating. Then it's all about trial and error. Some units work exactly like we want them to, some end up not fitting the game for various reasons (balance, redundancy, or they are just boring). 7) It means I devoted way too much time to get good at it and I should probably go back to adult life. PitNata wrote: Question of all times, since the first KR: When/Will you include the Level Editor for all KR games, and Upcoming ones? I mean including it on the every map is on the game, and completed both campaign and challenges it is unlocked? Always wanted to fight 2 Juggernauts on the Rotwick level. I think that chances are good for a level editor to be included in KR4... this is absolutely unconfirmed... but it's certainly more feasible than it was for our previous games. There are currently 28 people working at Ironhide (yours truly included). We all know each other quite well. Some of us even worked together on other studios before entering Ironhide, or were friends long before becoming co-workers. We all consider part of the same team, even if we work on different games... there is a strong sense of camaraderie. I ABSOLUTELY WANT TO MAKE ANOTHER COMMUNITY HERO. I've already pitched the idea and it's currently being considered. Stay tuned. Not sure I understand the party question. Sorry. magicmetal03 wrote: Dus it annois u wen ai tawk leik dis? RaZoR LeAf wrote: Alleria Swiftwind was only assumed to be an elf in the original Rush because she had pointed ears. Was this always meant to be the case, as it was never canonically said in the games or release package? Alleria was always conceived as an elf. I don't know if we ever canonically mentioned it, but this is 100% definitive. The archers in the Ranger Hideout are elves. King Denas has a daughter, we have been discussing when and if we should include her. We have never mentioned the mother in the games or in the comics, but my personal guess is that she died. Denas is a bit of a glutton, but he is also a stand up guy... I don't see him ditching a wife. magdtud20 wrote: I have a few questions regarding beta testing for iron marines and other upcoming games. To be accepted in a beta, all you need to do is to join the thread that invites people to the beta. I will open this thread when the time comes. All we ask from testers is honest feedback and discretion. If all you can do is play the first level, that's ok. Just tell us what you thought. And if you find any bugs, report them. That's all. When you find a bug, you open a new thread explaining what happened, if you can upload screenshots then great. Ninja wrote: Is Ironhide going to address the cliffhanger given at the end of KRF in KR4 or in the future? I think we should, but I don't know if we will. FeedDaKingdom wrote: does Captain Taguins have command of a starship? Cpt. Taguins is a infantry leader, not a fleet officer. Even though he has the rank of Captain, he is more of an NCO. Dude, seriously? How does a GTA character carries a Minigun, a katana and a flamethrower without them being visible? ... It's fiction. Eridan's gloves are custom made, they are mailed directly from Linirea's. The Kingmaker wrote: How are you today? FastAndBlast wrote: What is your favourite game? There are too many to choose just one. The game I enjoyed the most this year was Witcher 3. My favourite game is the new game that ironhide released this year. 1. Are potatoes the ultimate species? Wasn't it mentioned in the comic that Denas' wife really died?